Are there any exclusions with Towergate insurance? How much does Towergate insurance cost? 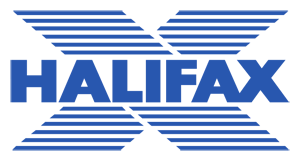 Towergate is a London-based insurance broker that launched in 1997 and works with some of the biggest insurance companies in the business, including RSA, Aviva and Axa. The company provides a range of both specialist and regular insurance products. In 2017, David Ross, the CEO of Towergate, announced a new insurance group consisting of Towergate, Chase Templeton, Ryan Direct Group, Price Forbes and Autonet. 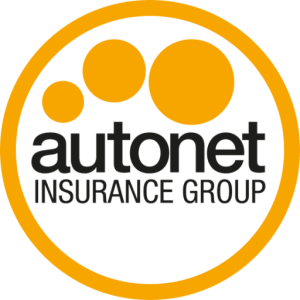 Read our Autonet car insurance review here. As a broker, Towergate takes your insurance requirements and finds the right policy for you based on the insurance companies it works with. For a full list of the specialist insurance products Towergate offers, head over to its website. Aside from these, it also provides more 'regular' insurance products, like travel, pet and camera insurance. 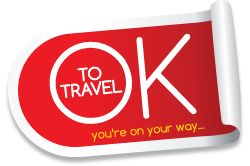 Check our guides to the best travel insurance, pet insurance and camera covera. Bought By Many has also launched its own pet insurance products. Join our pet insurance group to find out more about our policies. The exclusions on Towergate insurance will be specific to the policy you take out. For instance, if you take out boat insurance, you probably won't be covered for repairs due to general wear and tear. Similarly, if you require pet insurance, most companies won't cover you for any pre-existing conditions. This is usually defined as any illness your pet has suffered from at any time before you take out the policy. However, Bought By Many has launched a pet insurance product that will cover pre-existing conditions. Join our pre-existing medical conditions pet insurance group for more information on this. These types of exclusions will be in your policy documents, which you should read thoroughly so you know exactly what you're covered for. If you don't understand anything, it's best to call the insurance company to clear things up. Because Towergate is an insurance broker rather than an insurance company, it can be difficult to find accurate ratings of each of its products. Customer reviews of its insurance products will be dependent on your insurance needs, and subsequently the company it decides to pair you with. However, Towergate insurance does have a rating of 1.1 out of 5 on Reviewcentre.com, based on over 70 reviews. Similarly to its customer reviews, expert reviews of Towergate will generally be of the companies it pairs you with, rather than of Towergate itself. However, we did find some reviews of Towergate from an independent financial adviser. For instance, its Touring Caravan Insurance has received a 5 Star rating, its Choice Caravan Insurance, Flexx Touring Caravan Insurance and Select Touring Caravan Insurance have all received a 3 Star rating, and its Lo Cost Caravan Insurance has received a 2 Star rating. The same reviewer gives Towergate's Premier, Standard, Signature Premier and Signature Ultra travel insurance products a 3 Star rating. To make a claim on Towergate's insurance, you'll need to head to the 'Claims' section of its website. Here you will find a drop-down list on which all of its insurance products are listed. Most of the various insurance products will have both a phone number and an email address. In order to make a claim, you'll need to call the number and speak to an adviser, who will help you proceed with your claim. Generally, you'll need to have proof of your claim - for instance, photos of damage to your house - and you'll usually have to fill out a claims form. Take a look through our insurance groups to find a better deal on your insurance.